Evil fictional werewolves are barking at the moon in the films, “An American Werewolf in London,” and “An American Werewolf in Paris,” but did you know many people believe one is roaming the wilds in real life in the northeastern parts of America? There have been sightings by people who lived to tell the tale of the Beast of Bray Road for many years (and maybe some sightings by those who didn’t live to tell the tale!). 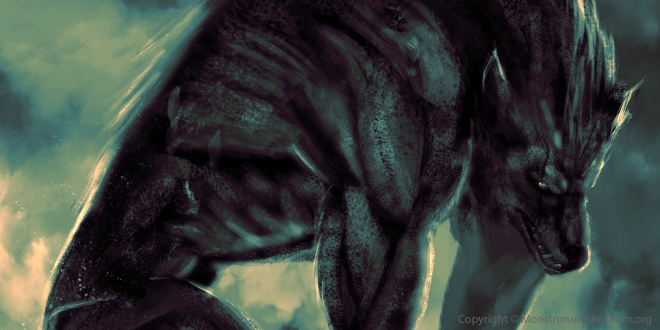 The Beast of Bray Road, also known as the Bray Road Beast, is a fascinating cryptid that has been spotted multiple times in Elkhorn, Wisconsin, since the 1930s. 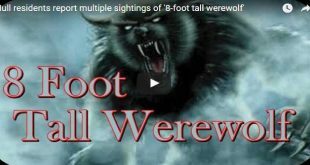 This creature is referred to as a werewolf, and there have been sightings in other areas ranging from southern Wisconsin to Vancouver Island, Canada. What’s unknown is whether these sightings are connected or caused by multiple cryptids. Either way, it’s accepted each occurrence in Elkhorn is of the same creature. Fascinatingly, the Beast of Bray Road sightings aren’t typically dismissed as merely urban legends. Instead, many people living in the Elkhorn area genuinely believe the werewolf is real, and a local newspaper helped corroborate this belief with a series of articles published during the 1990s. What Does the Beast Look Like? Eyewitness accounts vary, but they all agree the Beast has brownish or blackish gray fur. Some people have reported it resembles Bigfoot or a bear while many others say they’ve seen a wolf-like creature with the ability to walk on its hind legs. Everyone does agree the creature is extremely large, weighing at least 400 pounds or more. The average estimate for the Beast’s height is approximately seven feet tall while walking on its hind legs. No one has ever claimed to see the Beast of Bray Road transform into a wolf form, but this has not stopped most reporters from labeling it as a werewolf. 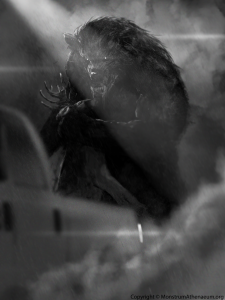 There is a lot to be learned about the Beast of Bray Road and cryptids of all types by examining the timeline of sightings in Elkhorn. It is important to note this area is extremely rural which makes it easier for the creature to blend in as needed. In other words, even though there have been multiple sightings during the last several decades, it is extremely likely the number of occurrences would have been much higher in a more densely populated area. Creatures of this type tend to seek instinctively out areas where they will encounter fewer amounts of people which make perfect sense for it to call the Elkhorn area home. The very first documented sighting of the Beast of Bray Road took place in 1936. A man named Mark Shackelman was surprised to hear sounds coming from an old Indian grave at night; prompting him to investigate the source of the commotion. Instead of discovering a grave robber as he suspected, Shackelman was stunned to see a large dog-like creature standing on its hind legs. Although this would have scared off many people, Shackelman was more fascinated than anything else which led to him revisiting the same area the following evening. Once again, the large, dog-like creature was spotted near the same grave. The creature made audible noises during this second encounter which Shackelman described as sounding like an attempt at forming words with the syllables “ga-da-ra”. Perhaps the Beast truly is a werewolf or some other form of a shapeshifter (skinwalker), and the sound of “ga-da-ra” could have had an actual linguistic meaning. In 1939, a young man was driving through the same area after spending time with his girlfriend, and he was startled by the appearance of a creature appearing to be part man and part wolf. His description of the Beast of Bray Road was very consistent with the sightings in 1936, and he immediately drove to the local police department to inform them of what he had just seen. It is unknown if anyone from the police department investigated his claims but the story was recorded, and this has enabled cryptid enthusiasts to trace the early history of this fascinating creature. The Beast appears to have gone dormant or hidden better for a decade after the first three sightings. The next incident occurred in 1949 but, unfortunately, there are only a few scant details available. What is known is, at least, one local person saw a wolf-like creature roaming throughout the area which was described as appearing unusually intelligent, but the name of the person who made this report and any other relevant details have been lost to history. The Beast of Bray Road was a distant memory for most people in Elkhorn by the time someone in Illinois reported a similar sighting in 1964. At this time, Admiral Television Corporation employee Donald Fewless was startled by the appearance of a wolf-like creature he described as standing, at least, seven or eight feet tall and weighing up to 500 pounds. Due to his television connection, Fewless was able to gather a crew to go looking for evidence the next day. Although nothing conclusive was found, there was a row of corn that had been disturbed in a manner consistent with a large creature running through it quickly. In 1972, there was what police described as an attempted break-in at a property near Bray Road. This was a particularly fascinating encounter with the Beast because it was the first time actual physical evidence was left behind. 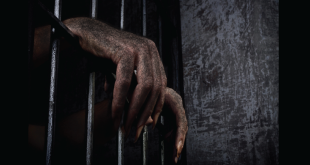 According to the police report, the woman who reported the attempted break-in gave a physical description of a large and terrifying creature consistent with previous accounts of the Beast of Bray Road. Additionally, the beast left a 12-inch footprint behind and inflicted severe damage on one of the woman’s farm animals. Up until 1989, sightings of the Beast were relatively rare. However, during the period from 1989 through 1991, this cryptid became much more visible. It is hard to know if this was due to an increasing population in the local area or if perhaps they were multiple beasts prowling through Elkhorn. The increase in reports is also linked to the fact the local media mentioned an encounter a woman named Doristine Gipson had with the Beast, which seems to have made several people feel more comfortable sharing their story. Gipson’s story was particularly terrifying because the Beast appears to have been planning to attack her physically. She reported feeling a jolt against one of her tires while driving home on October 31 which prompted her to stop her vehicle and get out to look around for any injured animals. Suddenly, she caught sight of a large beast sprinting toward her, and she scrambled back to her car. Gipson said that as she was driving away, the beast threw itself onto the back of her vehicle but was unable to hold on. After hearing Gipson’s story, Scott Bray revealed he had an encounter in 1989 similar to what happened in 1972. Once again, the beast left a large footprint behind, and there were multiple occurrences on Bray’s property located on Bray Road, which seemed to indicate the beast had been nearby. Shockingly, there were three other reported sightings in 1989, making that year more prolific than the several decades preceding it. The first of these three additional incidents involved a man named Russell Gest who became terrified after seeing a humongous creature he described as standing upright like a bear but having canine features. Local bar manager Lori Endrizzi drove past the beast in 1989, and she stated its eyes were glowing even though her headlights were not shining on them. Initially, she thought someone was kneeling in the road, but once she got within 6 feet of the beast, she was able to recognize distinctive features such as fur, pointed ears and fangs. The next incident involved schoolchildren, and it reached the ears of adults after bus driver Pat Lester overheard Heather Bowey talking about it. According to Bowey’s version of events, she and some friends were on their way home after playing when they spotted what they believed was a large dog walking by the creek. The children called to the dog because they wanted to pet it, and they were shocked when it turned out to be a beast which stood up on its hind legs and began charging at them. Fortunately, everyone was able to get away safely, but it is a virtual certainty their encounter haunted their nightmares for many years. From 1990 to 1991, there were several reported sightings of random creatures which appeared bear-like or wolf-like. Mike Etten, a local dairy farmer, saw a creature in March 1990 he initially thought was a bear. However, it was acting in an unusual manner and was sitting like a raccoon while holding onto its food with its front paws. Etten acknowledges he had been drinking at the time of this sighting but thinks his intoxication was the reason he tried to rationalize what he saw was a bear instead of the Beast. Etten finally came forward with his story after hearing so many other reports. After this flurry of beast sightings, local journalist Linda S. Godfrey was tasked with the job of doing an investigative report to discover whether or not there was any truth to the werewolf rumors. Godfrey was very skeptical at first, and her initial series of articles were slanted as such. However, repeated exposure to witnesses who had similar stories began to make Godfrey question her skepticism. Eventually, she moved beyond believing it was merely a dog-wolf hybrid and accepted the dozens of eyewitness accounts which all seemed to corroborate one another. After sharing her findings with local residents via an extensive series of articles, Godfrey decided to keep digging into the story of the Beast of Bray Road. 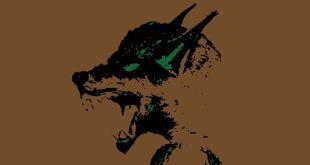 This eventually led the writer to release a book that contained all of her findings, and she has since gone on to investigate other cryptid claims such as the Michigan Dogman. A short film was released online in 2002 and initially listed as actual footage from the 70s. The three minute and 31-second clip is very grainy and showcases people having fun on snowmobiles. Near the end of the clip, a creature appears and lunges at the camera. The original Gable Film has been widely debated, and people claim it contains either the Beast of Bray Road or the Michigan Dogman. It was stated in 2010 on the show “Monster Quest” that the first Gable Film and the second one released later on were hoaxes, but it is impossible for anyone other than the people directly involved to know if this is true. What we do know is any video footage of a supernatural creature is subjected to intense scrutiny by the public, and it’s possible the person in possession of these films decided to state publicly they were a hoax to stop answering constant questions about the apparent werewolf they had captured on film. 2003: A Pack of Beasts? Until 2003, the beast was always seen as a solitary creature. Everything changed when Katie Zahn and a few of her friends spotted a group of three creatures picking up water from a river and drinking out of their hands in a way consistent with humans instead of animals. 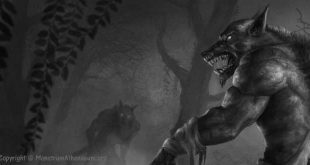 Zahn stated all three of the creatures appeared to be wolf-like, and she and her friends ran away after the beasts stood up, turned around and looked at them. If this account is accurate, it helps explain why the beast has been seen so many different times. 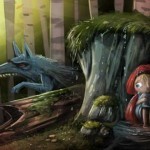 After all, it would be much more difficult for three werewolves to hide than just one. “I knew it wasn’t human,” added Zahn. In 2006, DNR worker Steve Krueger had a terrifying experience while working on Holly Hill Road in Wisconsin. The cab of the truck he was driving started shaking suddenly, so he looked into his rearview mirror to see what was happening. Krueger told the local NBC affiliate he saw a large creature with a big snout and black hair most likely between six and seven feet tall. Krueger was able to shake the Beast out of the back of his pickup truck by throwing his vehicle into drive and quickly accelerating. Around the same time as Krueger’s sighting, there were two young boys playing on a trampoline on Holly Hill Road, who reported seeing a hairy monster emerge from the nearby woods. Each of the 2006 reports was investigated by Linda Godfrey, and she stated she believes the Bray Road Beast is real and is possibly a Timberwolf that has adapted or evolved in a very unusual way, perhaps with the assistance of the supernatural. All of the attention that the media placed on the beast from the late 80s to the mid-2000s inspired a low-budget horror film entitled “The Beast of Bray Road.” This film was advertised as being based on a true story when it was released in September 2005. Unfortunately, the movie did not do the subject matter justice, and it is barely worth watching for even the biggest horror movie fanatic. Is the Beast Actually Real? It is easy for skeptics to claim all these sightings are some mass delusion, but this doesn’t explain the physical evidence left behind in some cases. Additionally, it is important to note most of the stories have remained consistent even when there has not been any news coverage. The obvious reality is that there’s no good reason to doubt the Beast of Bray Road exists. Therefore, it is important to be careful anytime you find yourself near Elkhorn, Wisconsin, and make sure you take a camera with you so you can try to capture the beast on film. Previous Was Abraham Lincoln Killed By a Reluctant Zombie Hunter?